Here at EyeClick, one of our top customer segments is family entertainment centers (FEC’s). Like any good business, we spend a lot of time talking with our customers and understanding their business needs; after all, if we’re going to sell our interactive floor projection games to family fun centers, we need to show how we can help them achieve their goals. In the process of speaking with dozens of FEC owners, we have learned many interesting facts about the industry. Most interesting was how competitive this business is. FECs are popping up everywhere, and the business owners are always looking for that edge that will help them stand out from the competition. Let’s face it, most of the attractions in typical family entertainment centers have not changed in the last 50 years. Inflatables, rock walls and trampolines are great, and they work very well at what they’re designed to do, but mixing them up with more advanced attractions can “wow” the customers and keep them coming back. This is especially true today, when kids are used to smartphones, tablets and other interactive technology. Deni Shupe, marketing manager of Pump It Up, Glenview, Illinois, a kids activity center, uses this strategy to attract kids. 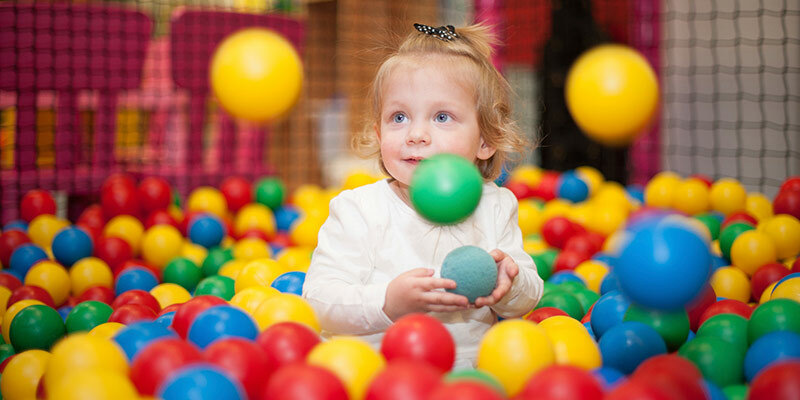 While family entertainment centers typically offer plenty of attractions for kids who are relatively strong and well-coordinated, smaller kids (up to age 6) can be left out. They might be physically intimidated by bigger kids playing on trampolines, or simply lack the size needed for an attraction, like bumper cars. The airplane hangar-like size of many FECs can also intimidate smaller children. Families with multiple children tend to have at least one child under age six, and if that child is alienated by an FEC, the family thinks twice about coming back. Successful FEC owners often provide a separate area for smaller kids to play, with attractions tailored to them. Enka Tsend of Mommy Time, a Roanoke, Virginia-based indoor playground, uses this strategy to serve parents with smaller children. A family entertainment center’s customers are kids, but the decision to bring the kids in is made by the parents. Unfortunately, many traditional family entertainment centers attractions are not suitable for adults, so parents can’t play with their children. While the kids are enjoying themselves, parents are sitting there on their smartphone. FECs that can entertain parents as well as kids stand out from the crowd. D.K. Patel, owner and CEO of Bumper Jumpers, says that he sees kids and parents playing together on his interactive playground all the time. Let’s face it, maintenance and staffing costs take a big chunk out of a family entertainment center’s profit margin. In some states, there’s an additional regulatory burden. For instance, in Ohio, where Janice Jokkel runs Romp n Stomp, a five star-rated family fun center, every inflatable is required by law to have a staff member stationed next to it. By choosing attractions that are not bound by staffing regulations and low in maintenance requirements, Janice was able to reduce her staffing requirements for birthday parties by 33%. For instance, many family entertainment centers host private birthday parties. The more forward-thinking owners I’ve spoken with use exclusive attractions which can only be used by customers who’ve reserved a party room, and then use sites like Groupon to promote the reservation. Jared Heywood of Get Air, Salt Lake City, a huge trampoline park in Salt Lake City, Utah, has used this tactic with great success. His interactive playground, presented in an exclusive party room, has delivered a 40X+ return on investment for his business. In general, the common thread we’ve seen is that business-savvy FEC owners are able to stand out from their competition by understanding their customers’ unmet needs or their business model’s gap and then using technology to meet or bridge them. This is how they create a unique value proposition and get a competitive advantage in their field. BEAM, a technology developed by EyeClick, is an award-winning gaming solution with the ability to transform any space into a highly-immersive and engaging play area for children. BEAM uses cutting-edge projection technology that mounts to a ceiling, creating an interactive play space on any surface below. You can find BEAM in use at day cares, camps, education facilities, healthcare clinics and many other environments across the globe. For more information about how BEAM increases customer loyalty and engagement, please visit joinbeam.com.